I have been using Mozilla’s Thunderbird as my default email application for only a few months now. So, I figured I would share some basic how-to articles so you can quickly get Thunderbird up and running the way you want it if you choose to switch. Adding a signature to your outgoing emails is always important. First open Notepad and create your desired signature. Save this text file in a familiar location on the hard drive. I put mine in Documents. 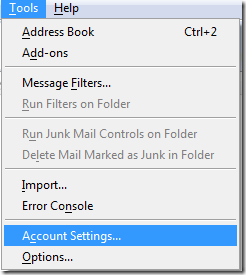 Next open Thunderbird and click on Tools Account Settings. 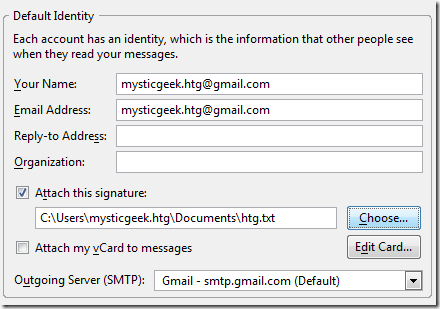 Keeping the default dialog box open, in Default Identity check Attach this signature: Then browse to the location where you kept the signature text file and click OK.
Now the signature will show up any time you create a new email message. 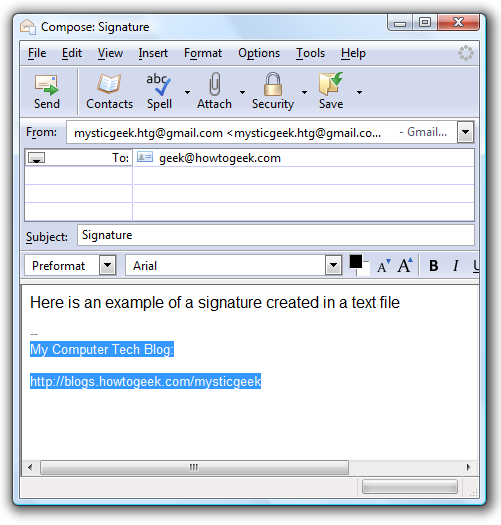 There are also several cool Add-ons for Thunderbird for further manipulating your email signature.